NOTE: This announcement was updated on Aug. 22, 2018 to reflect a revised email for the National Sea Grant Office to receive comments. The correct email is: OAR.SG-Feedback@noaa.gov. 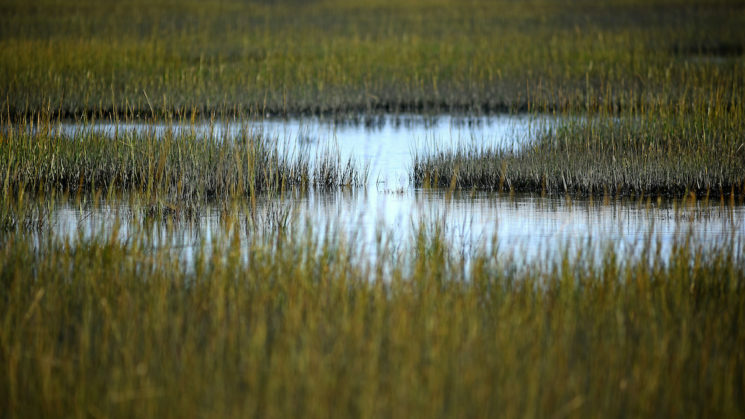 Public comments are sought for the North Carolina Sea Grant Review. The deadline is Sept. 25. North Carolina Sea Grant will be reviewed from Oct. 2 to 4 by a team convened by the National Sea Grant College Program. The review will be conducted at North Carolina State University in Raleigh and will consider all aspects of North Carolina Sea Grant’s programs during the 2014-2017 reporting years, including management and organization, performance, stakeholder engagement and collaborative activities including those with various offices of the National Oceanic and Atmospheric Administration. This notice invites public comments for the panel to review. Comments should be sent via email to OAR.SG-Feedback@noaa.gov. The comment period will end on Sept. 25. Please put “North Carolina Sea Grant site review” in the subject line. North Carolina Sea Grant is a federal/state partnership that includes funding from NOAA and the University of North Carolina system. In addition to the headquarters at NC State, the program has coastal offices at the UNC Coastal Studies Institute near Manteo, the NC State Center for Marine Sciences and Technology in Morehead City, and the UNC Wilmington Center for Marine Sciences. Through research, education and outreach initiatives, North Carolina Sea Grant focuses on current issues affecting coastal watersheds and communities. Since 1970, the program has partnered with scientists, educators, local officials, government agencies, varied businesses and the public to develop and share unbiased, scientifically sound information about the state’s coastal ecosystems and economies. For more information about the program, go to www.ncseagrant.org. Thank you for assisting North Carolina Sea Grant by letting the review team hear from you.